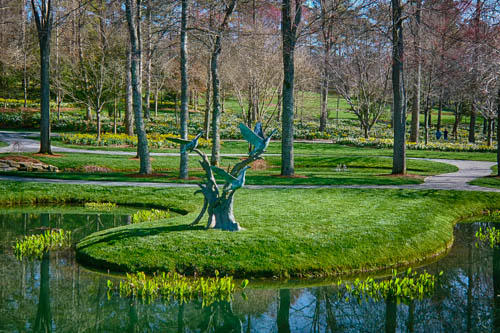 Surely there is no better place to celebrate the arrival of Spring than Gibbs Gardens in Ball Ground, Georgia. 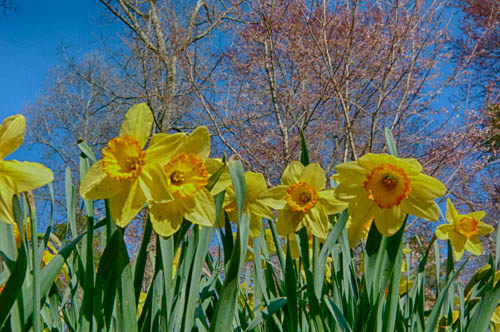 More than 20 million daffodils will bloom here over a six week period, and seven million of them are blooming right now--the first day of Spring. 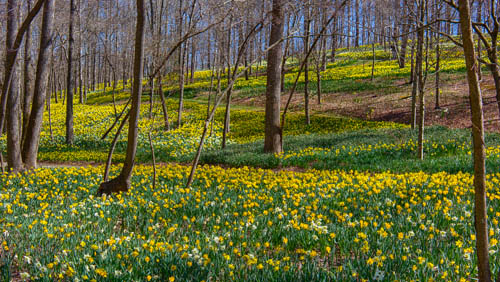 They carpet hillside meadows, they meander through the woodlands. 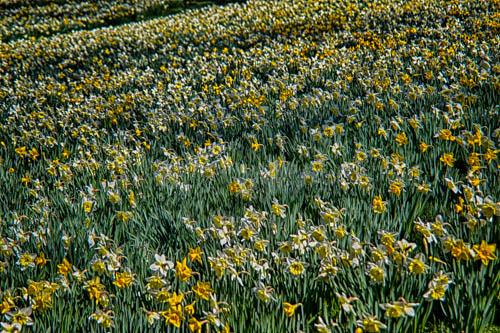 So many varieties are in bloom it is pointless to count, but if you really want to know names so you can buy some for your own garden, there are big labeled pots of all the blooming varieties near the Welcome Center. 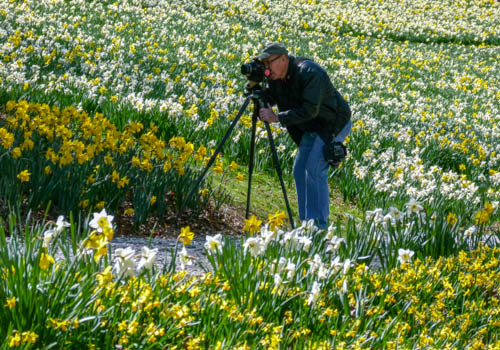 This is reputed to be the largest daffodil display in the country. 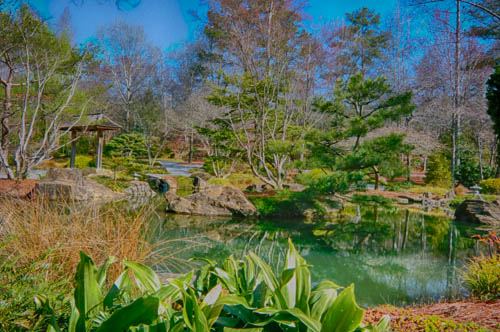 We are already anticipating another visit in the Fall, when the largest Japanese garden in the country will be ablaze in color. 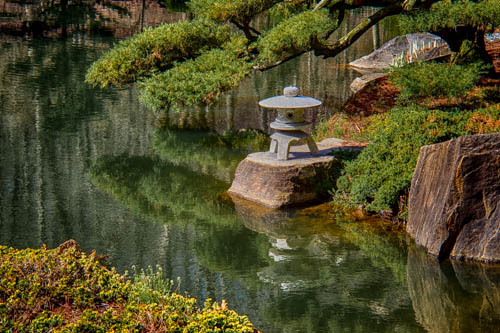 Even now, in its least dramatic season, the Japanese garden is a place of tranquil beauty, its paths winding past artfully sculpted bonsai trees beside spring-fed ponds with gentle waterfalls. 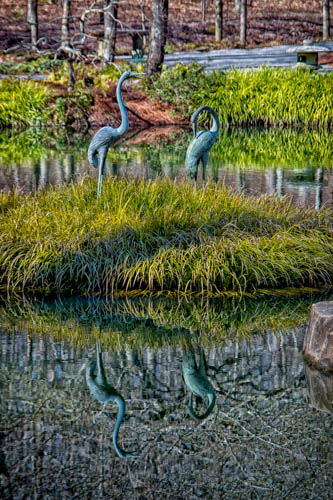 Tiny spring green leaves are just emerging from the cascading shoots of the willow trees. How magnificently he has succeeded in achieving that balance. 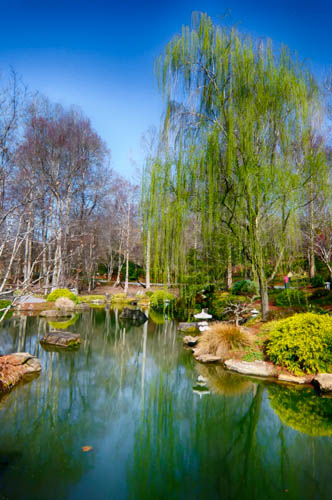 Over thirty years in the making, Gibbs Gardens has been open for just two years, and it is still somewhat unknown. 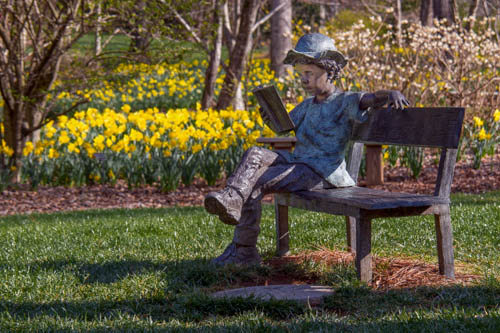 But, it is only an hour from metro Atlanta, so we can only imagine that word will travel fast, and we may be fighting crowds the next time we stop by.